You have no doubt noticed oodles of bow ties if you have wandered through the men’s department of your local department stores recently. It’s a big trend in menswear for spring, and you are not at a loss for selection: all manner of colors and patterns are available. 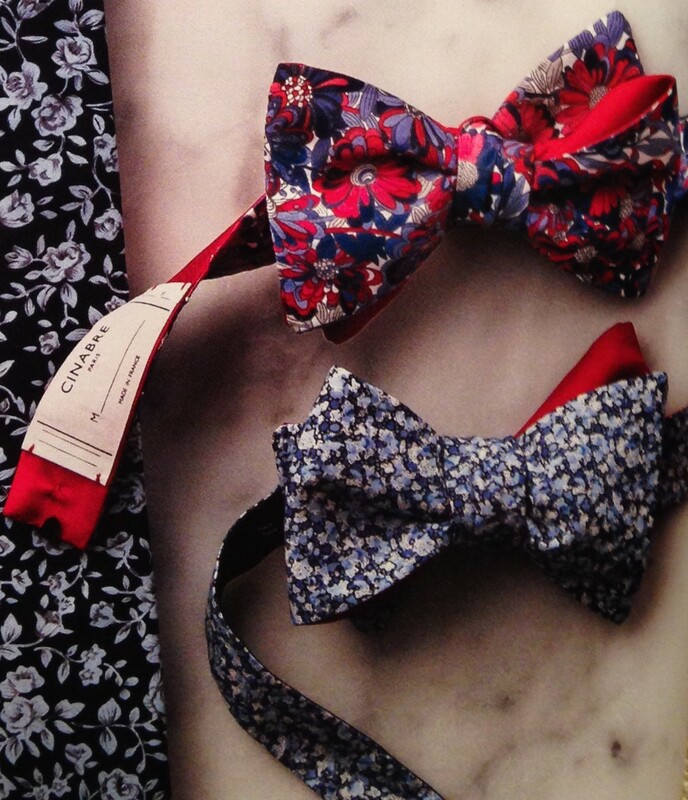 I spotted these cool floral bow ties by Cinabre, a French luxury accessories line, in the April 2014 Neiman Marcus the book. I am tickled pink to show you my sweet Nathan in his baby bow tie, which is available online through the baby bow tie website as well as at Neiman Marcus online. I know I am partial, but I cannot imagine a more handsome little gentleman as this precious guy. So, gentleman readers, what do you think? Would you sport a bow tie? I realize it is not for everyone, but if you are one to take fashion risks and you are looking for something fun to do with your image, try it. If you are lucky, you will look almost as handsome as my son! For the moms of little guys out there or friends of gals with little boys, consider giving a gift of a baby bow tie. It is a unique gift that will be long remembered! Reblogged this on Bethany Siggins Image Consulting.